How can a meditative practice help recovery? For more information on AA and the CP 12 step program. 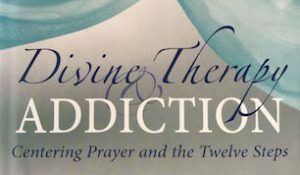 Visit the website of Centering Prayer 12 Step Outreach at www.cp12stepoutreach.org. Please feel free to download the Centering Prayer 11th step one page to place in your organization’s bulletin board or share with your group. Click here. Hello. My name is Tom and I’m an alcoholic. I could drink a fifth in a half hour. My sobriety date is 6/10/2010. Centering Prayer is about making friends and developing intimacy with higher power. Many Eastern experiences are similar to what the Christian tradition calls contemplation. Many who practice Centering Prayer, respect eastern religions and are sympathetic to their experiences. In Centering Prayer, we seek transformation in higher power through what we call God’s first language–silence. Our intention is always to consent to higher power’s presence and action within. After the 1st 15 centuries of Christianity, contemplative life was practiced pretty much only by the monks. In the 1980’s the practice of Centering Prayer was created to introduce all people desiring a deeper relationship with the higher power to the contemplative lifestyle. In its most generic or secular description, I would say Centering Prayer is a silent meditation. But to Christians, Centering Prayer is a meditative prayer in which we consent to God. For an 11-Step practice, I suggest that we each take our own higher power, and consent to that higher power’s presence and action within our self. For example, if your higher power is nature, then you would consent to nature’s greater presence and action in your life. The paradox of Centering Prayer is that we are to pray with no expectations; however, there are 2 goals: A transformed life; and greater intimacy with higher power. Intimacy with God through Centering Prayer can be compared to the intimacy of an elderly couple who has enjoyed a very long & loving relationship. The couple can just sit together in silence and enjoy each other’s intimacy. The first thing we learn in Centering Prayer is letting go. We gently let go of our thoughts. We do not empty ourselves of our thoughts, we just don’t focus on them. So, every time I have a thought, have an itch, or hear the ambulance drive by, I release those thoughts by reaffirming our only intention. A good picture of our thoughts is to imagine boats going down a river, and the boats represent our thoughts. We know our thoughts are there, but we choose to focus on the river. When our thoughts come up during Centering Prayer, we choose to focus on our intention. In the practice of Centering Prayer, we use a key word called a sacred word. The sacred word is a symbol of our intention. Your word can be almost any 1-syllable word. It doesn’t matter what your word actually means. It only matters what it symbolizes to you—your intention to consent. The typical practitioner centers for a 20-minute session with their eyes closed sitting in any comfortable position. For greatest effect, we recommend practicing twice a day. The Christian tradition typically reads 1 or more sentences of scripture to set the tone before centering. Therefore, I would suggest reading from the big book either a prayer or another spiritual principle before you start centering. Try reading that prayer or principle 3 times and then center. At the end of your 20 minutes, pause, reread that big book passage you read earlier, and then slowly quote a familiar prayer like the serenity prayer. Of course, throughout your time centering, you will have many thoughts, feelings and interruptions. Just remember to release your thoughts and repeat your sacred word. However, your sacred word is not to be repeated non-stop like a mantra. Since this will be the first time some of you are centering, I suggest that when you say your sacred word to yourself, that you also say what your word signifies—to consent to higher power’s presence and action within. This meditative prayer is a normal evolution of a genuine spiritual life. © 2019 Contemplative Outreach San Diego.